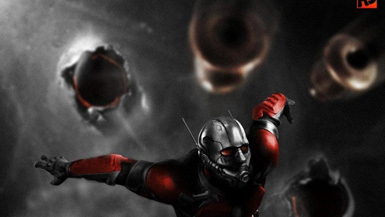 Kim Hollis: How much, if any, do you think Paul Rudd's likability played into opening weekend and consumers giving Ant-Man’s very odd concept a chance? Also, while we're discussing unprovable theoreticals, do you think Ant-Man does better, worse or about the same if Edgar Wright had stayed on the project? Ben Gruchow: It's the same thing as the first Iron Man: put anyone in that suit other than Paul Rudd/Robert Downey, Jr., and you have a vastly different experience. Put Tom Cruise in the Iron Man suit (he was an early contender) and you'd have a different (and less successful movie). Put Nicolas Cage in the Iron Man suit (he was another early contender) and you have something that'd be absolutely freaking awesome and that I'd see at any theater serving alcohol, but a totally different experience (and one that, honestly, would probably bomb and kill the MCU in its cradle). Paul Rudd was the perfect fit for this character; he sells the criminal aspect, he sells us on the human aspect, he's got a good poker face, and he's good with a deadpan remark. Had Edgar Wright stayed on (and therefore, if he'd been given more creative control), I think it ultimately would have done about the same. I think we might've seen something a little closer critically to what James Gunn got away with last year with Guardians of the Galaxy, but the conceptual hook wouldn't have really changed much.